Feel secured, stay comfort and gentle to the environment…Natracare gives you all! Made from certified organic 100% cotton that free from residue of chemical fertiliser and pesticide. No bleaching and 100% chlorine free. 100% plastic free and gentle for sensitive skin. 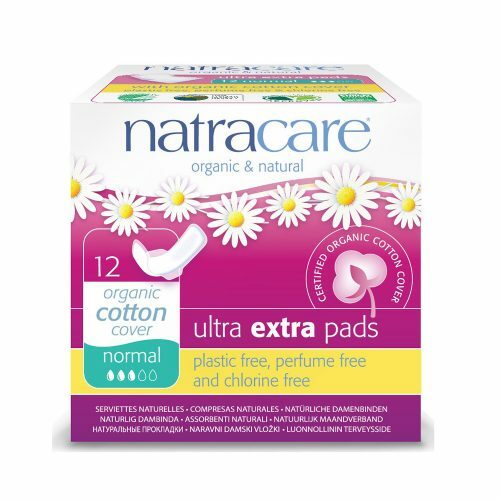 The absorbent core of the pad is made from sustainable pulp certified by Forest Stewardship Council (FSC). Made from certified organic cotton and free from any synthetic material such as plastic, dye and fragrant. Safe and gentle for sensitive skin. Non chlorine bleached and free from dioxin. With added security of wings to prevent leaking. Care for you and your environment. Over 95% biodegradable and compostable.